Model: 1881779. Color: Multicolor. Car Safety Baby Seat. I AM OPEN TO RESOLVE ANY PROBLEM. The base needs to be reattached to the seat. Used and is a little dirty. Shipped with USPS Priority Mail. Diono Ultra Mat Vehicle Seat Saver Free Shipping! 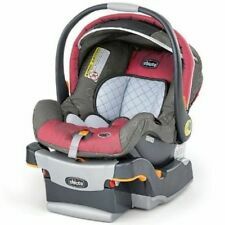 NEW Graco Snugride Snuglock DLX Infant Car Seat Base. Model 1994348 Item #4441. See Pictures. 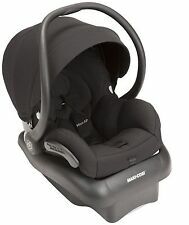 This is a Maxi Cosi Mico Nxt Car seat in black. We opened the box to inspect the condition and it appears to be New. It’s amazing how quickly your child changes and grows from year to year. The Magellan™ 5-in-1 car seat is the only premium convertible car seat that fits your child from birth to 10 years. Children grow at different rates so it’s important to have the flexibility to customize your car seat to ensure that you keep safety where you need it, when you need it. Happy travels are ahead with the Maxi-Cosi Mico 30. The lightest infant car seat in its class, the ergonomic handle provides extra comfort for parents while carrying this lightweight seat. Transferring from the stay-in-car base to a Maxi-Cosi, Quinny, or other premium stroller is a breeze, making the Mico 30 infant seat a great solution for parents looking for a complete travel system they can use from birth. The Combi Shuttle Infant Car Seat is lightweight, travel friendly and engineered for safety. Equipped with 360 degrees of protection the Combi Tru-Safe® Side Impact Protection and Anti-Rebound Bar, shields your child in front, rear and side impact collisions. Keeping the Pria 85 Max clean is simple. The Pria 85 Max seat pad is both machine washable and dryer safe. All this allows you to get a thorough clean not available in other car seats. New Pria 85 MAX with ClipQuik™ auto-magnetic chest clip! Pair with your favorite Baby Jogger stroller to create your own travel system. Manufacturer: Cybex. With our dynamic pricing model, our prices are always competitive. Item part number: 513128001. Item color: Black. Snugride 35 Click Connect Car Seat and 3 bases. Willing to split up the bases. The car seat is in good condition. There is some pilling in the fabric and the bottom is a bit scratched up. Missing newborn insert. 3 bases 1 car seat Smoke free and pet free home. No accidents and all pieces were manufactured in 2016-2017. Evenflo Embrace Infant Car Seat Base Black Quick-release Button Baby Safety Care - New in box as shown. Local Pickup Free. Evenflo continues to redefine industry standards with ROLLOVER TESTED car seats. The LiteMax 35 Infant Car Seat is the easiest car seat to carry. It is designed with your lifestyle in mind. 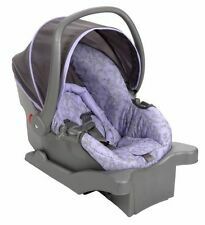 Evenflo LiteMax 35 Infant Car Seat Azalea. 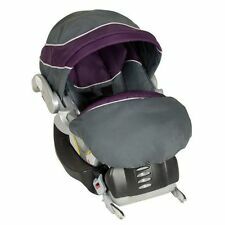 Maxi-Cosi Pria 85 Air Convertible Car Seat in Brilliant Navy Brand New!! The seat is designed to protect a rear-facing baby from 4 - 30 lb. It's an excellent first car seat to help protect your precious child. Manufacturer: Graco. 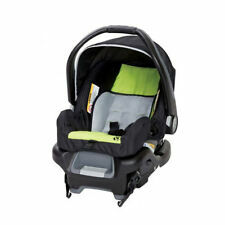 Ultra-lightweight infant car seat for easy carrying. New car seat, never been used. Brand new, still in box. Black and grey color. Please note, this car seat is for European standards, not for US. Child standing height 32” or less. Seat width 8.75”. Relax & Recline: Spring-assisted recline and indicators ensure the best vehicle installation angle. Easy installation: Use Safe Center LATCH or built-in seat belt lock-offs to secure the infant car seat. Also includes GracoPedic luxury foam for extra padding and added comfort. Manufacturer: Graco. Car seat base features integrated belt lock off for easier seat belt installation. Black car seat base. With our dynamic pricing model, our prices are always competitive. Compatible with the CYBEX Aton and Cloud series of infant car seats. Transparent so your child can look out and see the world. Includes a flap so you can easily access your child if needed. Maxi-Cosi Mico Max 30 Stand Alone Infant Car Seat Base (Black). Condition is Used. Shipped with USPS Priority Mail. It's an excellent first car seat to help protect your precious child. Ultra-lightweight infant car seat for easy carrying. We do not accept P.O. Boxes. Add to Favorite. For babies from 4 - 30 lbs. We're happy to help. 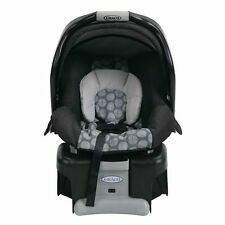 Maxi-Cosi Mico 30 Infant Car Seat - Night Black - New!! Free Shipping! !